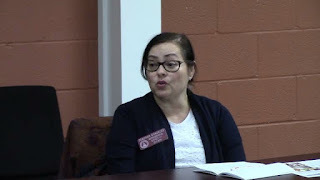 Deborah Gonzalez, newly elected to represent Georgia House District 117, began 2018 with $11,466 in her campaign account, and Jonathan Wallace, newly elected to represent Georgia House District 119, began the year with $11,639 in unspent campaign funds. Gonzalez and Wallace are Democrats. Both the 117th and 119th House Districts are split between Oconee and Clarke counties. Republican Houston Gaines, who lost to Gonzalez in the special election in November of 2017, had $96,863 in unspent campaign funds at the end of 2017. Tom Lord, one of three Republicans who ran unsuccessfully in the 119th special election in November, ended 2017 with $18,487 in his campaign account, while fellow Republican Marcus Wiedower ended the year with $194 in his account and Republican Steven Strickland had $9. Gonzalez and Wallace will need to defend their seats in November–and possibly even in Democratic primaries in May. Gaines and Lord enter possible Republican primaries with a significant funding advantage over Gonzalez and Wallace, who are forbidden to accept campaign funds as long as the legislature is in session. The 40-day session started on Monday. Doug McKillip, who had considered running in the 117th special election but didn’t, terminated his campaign finance account at the end of 2017 with no unspent funds. 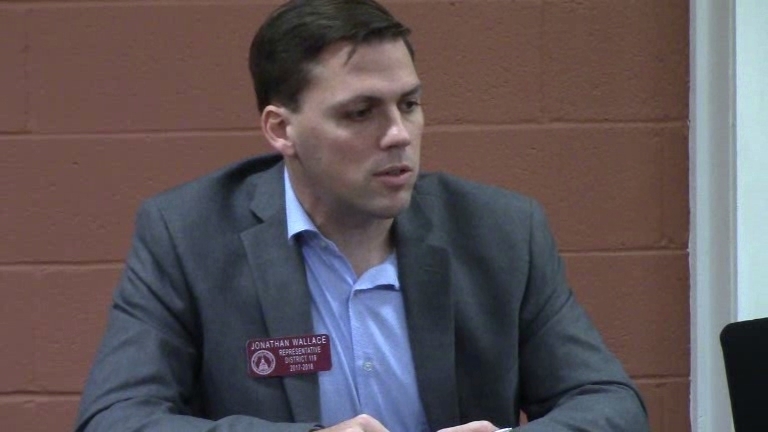 Each of the candidates in the two House special elections on Nov. 7, as well as McKillip, were required to file Campaign Contribution Disclosure Reports with the Georgia Government Transparency and Campaign Finance Commission on Dec. 31, 2017. Gonzalez reported that she had raised $80,943 by that date and spent $69,476. Gaines reported that he had raised $204,800 and spent $107,937. Wallace raised $48,750 and spent $37,110. Lord reported he had raised $91,038 and spent $72,551. Wiedower raised $38,970 and spent $38,775. Strickland raised $10,710 and spent $10,701. Gonzalez reported receiving a loan of $5,000 from herself during the campaign and paying back half of that amount. Gonzalez also reported receiving $976 in in-kind contributions. Gaines received $6,700 in in-kind contributions. He had no loans. Wallace had $2,444 in in-kind contributions and no loans. Lord had $1,847 in in-kind contributions. Lord put $50,000 of his own money into the campaign as a loan, and had not paid any of that money back by Dec. 31, 2017. If the loans are removed, Lord raised $41,038, or less than Wallace’s $48,750. Wiedower had no in-kind contributions and had loaned his campaign $4,000. He paid that amount back in the final reporting period. Strickland reported no in-kind contributions. He lent his campaign $9,000, and $7,865 of that debt remains unpaid. Candidates also were required to file campaign finance reports 15 days before the Nov. 7 election. At that time, Gonzalez reported raising $55,920, meaning she raised $21,933 in the final days of the campaign and in the nearly two months following. Wallace had raised $39,448 before the pre-election filing deadline, and raised $9,302 in the time following. Gaines had reported raising $196,250 in the last report before the election and $8,550 additionally, as reflected in the Dec. 31 report. Lord reported raising $57,478 before the election, including a $20,000 loan from himself. He reported raising $33,560 subsequently, including an additional $30,000 loan from himself to his campaign. Wiedower had raised $37,220 as reflected in the report just before the election and $1,750 subsequently. Strickland had raised $9,910 in the reporting period running up to the election and $800 subsequently. Across the course of the campaign, Gonzalez spent the bulk of her money on advertising, including $4,087 for Facebook, and on support for canvassers. Wallace spent $8,700 with E. Jones Media LLC of Winterville for communication consulting and $7,758 with Modern Postcard of Carlsbad, Calif., for direct mailings. Gaines spent $53,976 with Arena Communication of Salt Lake City for campaign communications, $12,286 with The Sassafras Group of Gainesville for campaign fundraising, $9,500 with Leading Pointe of Atlanta for campaign consulting, $6,554 with Mine Creek Strategies of Prairie Village, Kan., for campaign data, and $6,000 with Robinson Republic of Brookhaven for campaign consulting. Lord spent $45,197 with Arena Communication of Salt Lake City for campaign advertising, $7,500 with Robinson Republic of Brookhaven for campaign consulting, $5,552 with Mine Creek Strategies of Prairie Village, Kan., for campaign communication, and $5,000 with Alysia English of St. Simon Island for campaign consulting. Wiedower spent $25,792 with Warroom Strategies, 3551 Mars Hill Road, near Virgil Langford Road, for mailing and consulting, and $4,000 with Canvass Pro from Marietta for canvassing. 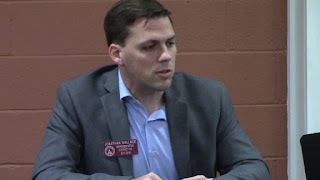 Strickland spent $3,787 with Mike Williams of Norcross for mailers, $2,518 with Steve Porter of Rome for yard signs, and $988 with Bill Simon of Marietta for robo calls. McKillip, who had been elected to the House as a Democrat from the old 115th House District and then switched to the Republican party, had sought election to the 117th House District after redistricting in 2011. The 117th includes three precincts from Oconee County–Athens Academy, Malcom Bridge and Bogart–as well as precincts in Barrow, Clarke and Jackson counties. McKillip was defeated by Regina Quick in the Republican primary, and Quick held the seat until she resigned for a judgeship at the end of the summer. The 119th had been occupied by Republican Chuck Williams from its creation in redistricting in 2011 until he stepped down, also at the end of the summer, to become director of the State Forestry Commission. McKillip lent his campaign $102,000 in May and June and did not raise any additional money. He spent $1,527 in the June 30 reporting period on consulting and did not file to qualify for the election. On Nov. 7, Gonzalez received 53.2 percent of the vote to 46.8 percent for Gaines, based on final returns. Wallace got 56.7 percent of the vote, to 19.9 percent for Lord, 17.3 percent for Wiedower, and 6.1 percent for Strickland. Qualification for candidates for the May 22 primary and the Nov. 6 election is March 5 to 9. Gonzalez and Wallace already have indicated they plan to seek reelection and engaged in fundraising prior to the launching of the General Assembly session on Monday. If multiple candidates within the two parties file, the nominee would be selected in the May 22 primary and, if necessary, a July 24 runoff.